Three Dog Night had an amazing string of hit songs from 1969-1975 – count ’em, 21 straight Top 40 Hit Singles including three – “Mama Told Me (Not to Come)”, “Joy to the World”, and “Black and White” – which reached Number One. 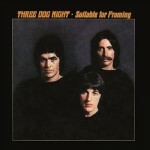 The original line-up for Three Dog Night was notable for having three lead vocalists, Danny Hutton, Chuck Negron, and Cory Wells, each bringing their own unique flair to the material, which usually came from outside writers. Negron left the fold in the 1980’s, but Hutton and Wells have carried on with the Three Dog Night name. This interview was for a preview article for the Three Dog Night concert on 8/20/15. It was done by phone on 8/4/15. Jeff Moehlis: What can people look forward at the upcoming concert? 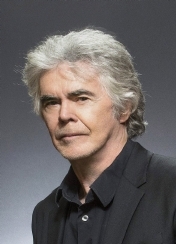 Danny Hutton: If they like our music and they like our records, we sound like the records. There’s no faking it. We’re going to do a lot of the hits which people want to hear. We’ll also throw in some surprises, a couple of new songs, and a few little things that I think will make people smile. We are that kind of a group that like to have people leave the place singing along and smiling. There are different types of bands. Some bands like to get out there and bang and be evil [laughs], that persona, but we like to make people smile. That’s what we do. JM: Three Dog Night had such a great ear for material. How did you guys decide which songs to record? DH: First of all, I’d like to say that except for “Try A Little Tenderness”, which we covered from Otis Redding – he covered Frank Sinatra [laughs] – other than that I’d say that we resurrected songs. That’s what we really did. Especially the first couple albums. All of the songs that we did were songs that were released by other artists, writers that would release an album, and the album didn’t happen. We would pull a song off of the album and turn that into a hit. So later on it looked like we covered some famous writer’s hit single. But I would say that’s what we did – we resurrected a lot of songs. The songs were pretty eclectic. We’ve been on every single musical chart there is, I would say, except maybe jazz. We’ve been rock, pop, R&B charts, country charts, classical music with the London Symphony Orchestra. We’ve been all over the place. In general, the actual technical way we did it from the second album on is we would bring in songs, and there were some demos sent to us, and we’d have the producer, engineer, and everyone in the band, and we would get three different stacks. We’d get the teeny stack of songs we definitely were going to do, we’d get a medium sized stack of songs that were maybes, and then there was a huge stack of “no” songs [laughs]. And that’s kind of how we did it. But we always had a thing for each of the three of us, if we really felt strong about a song, we’d all say, “OK, if you really feel it in your heart”, even if we didn’t hear it, we’d let each other do a song. So everybody really was satisfied. And a strange thing, not writing the songs, it gives you an incredible freedom when it comes to arranging, because you don’t have somebody sitting there saying, “Well I wrote it, and I felt it this way, and it’s gotta be nine minutes…” blah blah blah blah [laughs]. So we could just get a song, dice it, move it around, cut the fat out, change maybe a word or two. It just gave an incredible freedom, and that was a really good talent that we had, as far as arranging. JM: Sadly, [keyboard player] Jimmy Greenspoon passed away not too long ago. Could you comment on what he brought to the band and the music? I imagine he was involved in the arranging. DH: He was my oldest friend in the band. I knew Jimmy from about 1962 or 1963. I met him at a surf fair in Santa Monica, when The Beach Boys were just starting. He was wonderful. He was incredible as far as his ability on the keyboards. He could play any style of music. He started with classical music – he could read and do a lot of stuff. He was real free spirit. A lot of those hits we had that started with a piano piece, we would just let him go in the room and leave him alone, just let him come up with something. He was just really, really good at that sort of stuff. 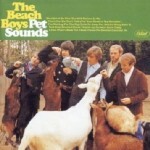 JM: I find it interesting that in the very early days of the band you recorded some songs with Brian Wilson producing. This was around the time that he was working on Smile. What was that experience like? DH: It was like me going to college [laughs]. I actually was brought up to his house by my former manager, who became the head of Brother Records. They brought me up there to record “Good Vibrations”, the very first version. 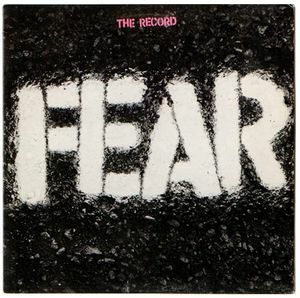 The very first version they did was kind of a Phil Spector-ish, washy wall-of-sound kind of demo. This is the crazy house, on Laurel Way, I think it was. He played me the track of “Sloop John B”, and I was just blown away. The room was kind of a huge closet with big studio speaker in it, and I just could not believe the sound. Brian and I really got along well. So I ended up being there during the whole Pet Sounds album, when he did it and wrote it. I was there for all of that. And actually, I was there when he did the “God Only Knows” track, which is [Paul] McCartney’s favorite song of all time, I think. I just got to see him do it. A man at the peak of his musical powers. To be around that… I love The Beatles, I love The Stones, I like a lot of the Spector stuff, too. But the one man that could do it all was Brian. He could do everything, from engineering it, arranging it, to performing it, writing it. He could do it all. JM: I’ve interviewed Van Dyke Parks, and I’ve interviewed Mike Love. Of course they have different perspectives on Smile. DH: [laughs] Oh yeah! Well, I probably do, too. Almost everybody that talks about Smile, they see it as the follow-up album. I never felt that, because he was just constantly writing. He wouldn’t say, “Now this my next album.” He would play me little bits of things he would do in the studio, and then put them together. But I didn’t get that sense that he was on a mission to do an album called Smile afterwards. He just didn’t stop writing. And “Time to Get Alone”, the one that we did, ended up being on an album a couple of years later. In fact, I think it had been another song and he changed the lyrics on it before he even played it for us. So that’s my take on it. By 1965, I’d been on about four or five labels already, as a solo act, as a writer/producer/singer. Some of the records didn’t come out with my name, they came out with group names. By the time I met Brian I wasn’t a rookie, but I still learned things from him. I learned how good something had to sound in the studio. There’s some things you couldn’t duplicate. If you saw the movie, and you just saw the control that he had over the Wrecking Crew guys, he knew exactly what he wanted. That was a good experience for us. I guess late ’68 is when we started Three Dog Night. It really helped. You know, we had 21 Top 40 hits in a row [laughs]. I learned my lesson. JM: I think it’s cool that you managed the punk band Fear. DH: Absolutely! I saw that Derf [Scratch] died recently, the bass player. I just went on a website and looked up an interview that he did. They asked him about ’79 and ’80. When the guy heard that I was their manager, he was in shock. 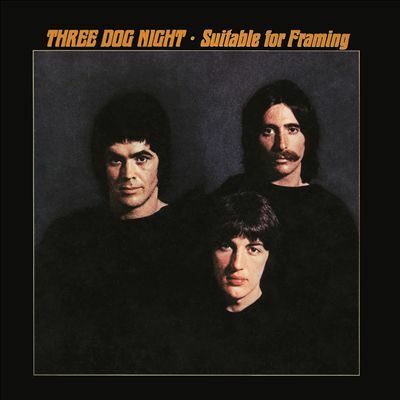 He said, “The guy in Three Dog Night? !” Very few people know that. I get credit on the Decline of Western Civilization. I get credit on the credits. I was there for the whole thing. I would say that they were probably the best musicians of all the punk bands. They were so tight live, they were incredible. They were probably the first speed metal band, if you listen to their sound. That’s like really speed metal, with a lot of swearing [laughs]. JM: Yeah, in Decline of Western Civilization, Lee Ving has his rant. DH: Well, what a lot of people didn’t get was that it was a strange kind of put on they were doing onstage. It was kind of a comedy thing, combined with a bad wrestler guy insulting everybody. Homophobe, women, everybody. But it was like a joke. The guy that came up with their name was a gay defrocked priest [laughs]. You know, it was a lot of fun. I really enjoyed it. DH: I remember Keith Morris from the Circle Jerks, who was the original Black Flag singer, I remember him at the Hong Kong Cafe. You had to go upstairs. I was helping the guys get their equipment up there, and he was helping also, and he was singing “One” on the way up the stairs [laughs]. This really crazy punk Black Flag guy singing “One”. JM: Seems like a fun time. DH: Yeah, yeah, it was. DH: Number one, serve the song. You must have the song, otherwise it’s just a musical exercise. And be good live. If you’re good live, you’ll survive. Otherwise, you have to rely on the studio and getting some kind of, quote, product out there. Otherwise you’re going to starve. And selling records now, unless you’re Taylor Swift or something, it’s very hard to survive. But I would say if you’re good live, you’ll be able to present your music and survive. JM: You guys are touring right now. What else, musical or otherwise, are you guys up to for the near future? DH: Well, we have new songs. I’ve been living in Laurel Canyon since 1963. I still live up here. My son built a studio up here, the real deal. We had Jimmy Cliff in, and he did his vocals for his album here, the reggae album of the year [2012’s Rebirth]. It’s a great place. So we recorded a couple of the new things that we’ve been working on up here. You know, I love it. This is Alice Cooper’s old house. I’m outside now, and I’m just surrounded by pine trees. I can’t see another house. It’s funky and cool. 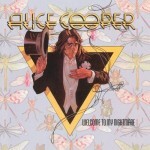 JM: I have to ask, did Alice Cooper leave anything laying around when you moved in? DH: Sure. I got rid of the snakes [laughs]. No, actually he moved out, and our old producer’s wife bought the house and flipped it, and I really got it from her. But he was the last one living here. There’s a lot of telephone lines in here for some reason. It was like an office building with about eight phones [laughs]. You think of it – it’s funny now because of cellphones, but then there were a whole bunch of individual telephones. JM: Kind of an obligatory question. You guys haven’t been performing with Chuck [Negron] for quite a while. Any chance that the three of you would get back together to tour, or has that ship sailed? DH: I doubt it. I mean, you never say never, but I doubt it. It’s like asking me about an ex-wife. You realize, we were divorced in 1984. How many years would that be? It’s a different lifetime. We’ve just gone on. This band, I wouldn’t want to mess with the chemistry. It’s great. I always thought in general that any of us could sing the other guy’s song, maybe a little different style, but we’re all lead singers. Except maybe for Cory [Wells]. Cory’s such a gifted guy, that blues voice of his, the timbre in his voice and the riffs and stuff. There’s only one guy like that. But in general, it sounds like the records. JM: Any closing thoughts for somebody who’s trying to decide if they should catch the show? DH: Well, I’m 72 [laughs]. No, I’ll tell you, we’re like an 8-cylinder car. We’re firing on every cylinder. None of the keys are lowered in the set, all of the songs are the same. And as I said, we’re putting in some surprises. I don’t mean it in an egotistical way, but we’re very good live. The two comments we hear are, “My God, you’re as good or better than the records,” and “I didn’t know you had so many hits. I forgot.” Those are the two things they say. Yeah, when we started in ’68, there were no amateurs in the band learning how to play. Everybody really knew their stuff. And I think it’s like a fine wine, it gets better and better, the experience. Excellent interview. This should be the final word concerning any possibility of a reunion. As far as I’m concern the band as is improves with age.